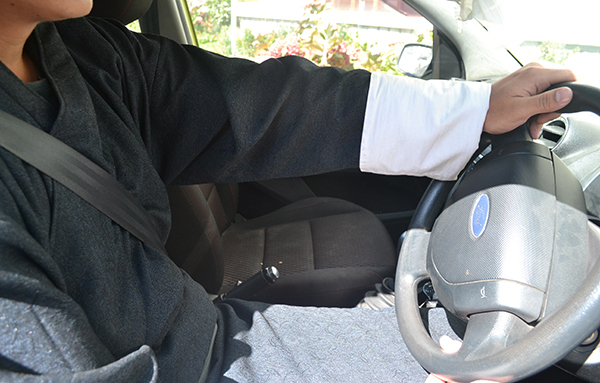 Bhutanese drivers can hardly be seen wearing seat belts while driving cars. The World Health Organization gave Bhutan only 3 out of 10 for implementing the seat belt rule. The Road Safety and Transport Regulation 1999 mandates drivers and passengers of motor vehicles besides motor cycle, to wear seat belts. Road Safety and Transport Authority’s director general Lham Dorji said the rule was not made compulsory because of the terrain and road conditions in the country. When accidents happen, the vehicle drivers are dragged with their vehicles. Seat belts he said was only meant to stop head on collision. Some drivers interviewed in the street said, it was not convenient to wear seat belts when they drive for short distances. Other drivers are of the view that seat belts should be made compulsory especially on the highway as drivers tend to speed up. Although, today the rule is hardly followed, RSTA is seriously re-looking at the matter. They said, if they found any drivers found driving without a seat belt, they will be fined Nu 600.